In 1979, Ford Motor Company introduced a new version of the Mustang. 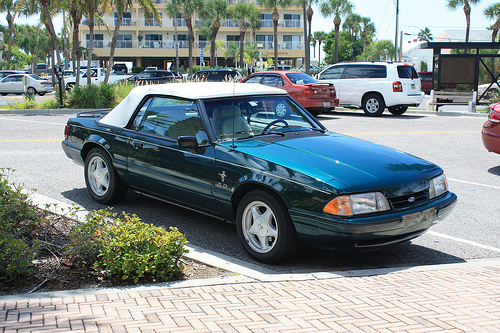 The new “Fox body” Mustang was smaller, and introduced entirely new styling with a lean, angular look. The new styling and numerous performance options created an instant hit for Ford, and by the time the Fox body was retired at the end of the 1993 model year, this was the longest-running Mustang generation ever produced. Nowadays, these cars are plentiful, inexpensive and have a highly developed aftermarket parts selection, which means that one of these little fireballs can make a great choice for a car project. Whether you are looking for a sport coupe for some autocross fun or want to create a drag strip terror, you can’t go wrong with a Fox body Mustang.